A piece that I’ve used over and over since getting my hands on it at the rewardStyle conference is this ASOS top. It looks great over a tank and white jeans, but I also found it useful at the beach as a cover-up. 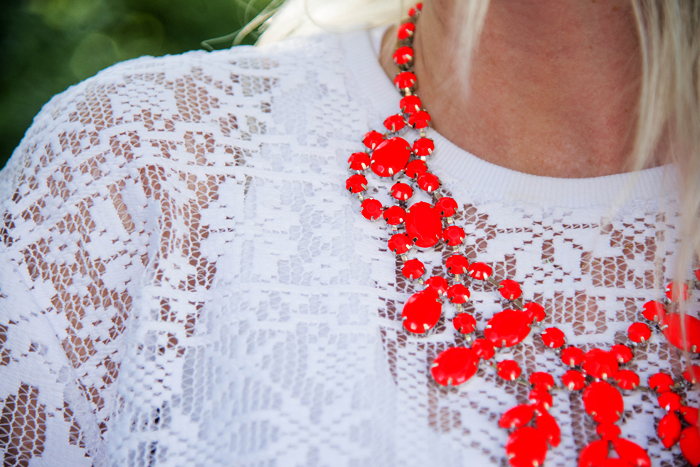 I have a feeling I’ll be able to wear it a lot in the warmer months – it’s so easy to just top it off with a colorful necklace and a pair of shorts. Good. To. Go. 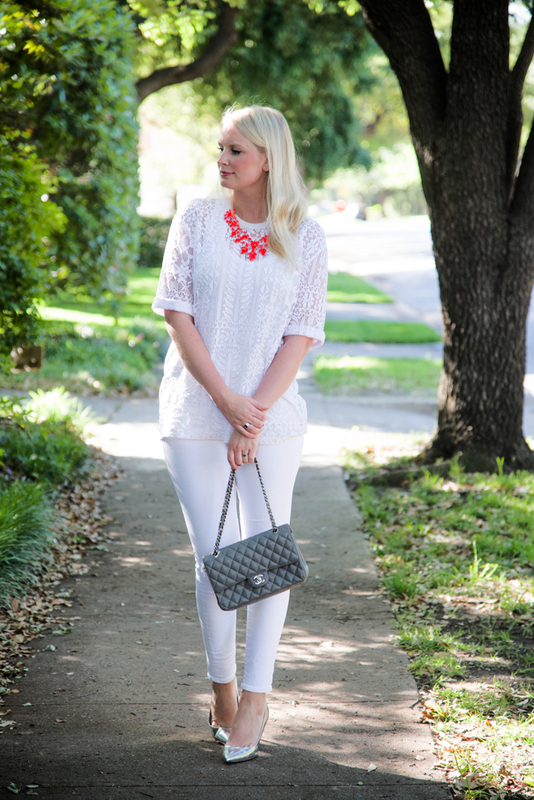 Such a gorgeous monotone look – the necklace pops perfectly against the white & I love that textured top! Cute top! And I love the pop of color! That necklace is amazing, and mad even better against a palette of white. Looks fabulous! Love the white-out! Plus those amazing metallic pumps!! Cute cute! 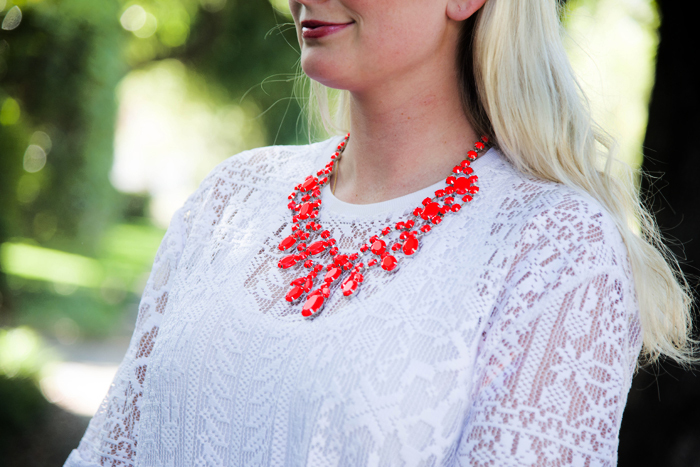 That lace is amazing and the pop of red makes it so fun!